The Philippine Pro Gaming League 2019 is back after a successful 2018 run. A combined prize pool of P1.3 million is at stake for aspiring pro gamers for League of Legends, Arena of Valor, Rules of Survival (mobile), and Tekken 7. MET Events (formerly Mineski Events Team) and Globe Telecom are bringing back the country’s largest multi-title esports league with more games, a fresh look, and bigger prizes for aspiring pro gamers, the PPGL is bigger than ever. Globe Director for Games and Esports Jake San Diego said that the PPGL is part of the company’s commitment to providing gamers access to the latest titles, local and international competitions, original content, and exclusive programming. “We would like Filipino gamers to experience an esports tournament like the PPGL to bring our competitive power and esports industry up to par with our powerhouse Asian neighbors,” San Diego said. 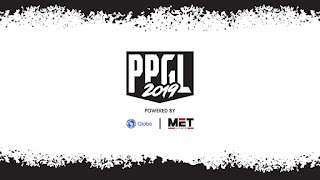 The PPGL 2019 will officially kick off on February 2, 2019, with qualifiers for both Rules of Survival and Tekken 7. The first qualifier for League of Legends will take place on February 17, 2019, with the first Arena of Valor qualifier taking place on March 8, 2019. The grand finals for LoL, AoV, and Tekken 7 will go down in a big live event on April 6- 7, 2019. The venue for the grand finals for PPGL 2019 will be announced at a later date. The league will be broadcasted in Filipino on the official PPGL Facebook page and in English on the PPGL Twitch channel. The RoS legs will be exclusive to Facebook Live only.